by the 1st, 4th, and 5th Amendments! "I do not answer questions." "I will not consent to a search." Whether being accused of a simple traffic ticket, first degree murder, or anything in between - most defendants are convicted via the evidence that comes out of their own mouths! 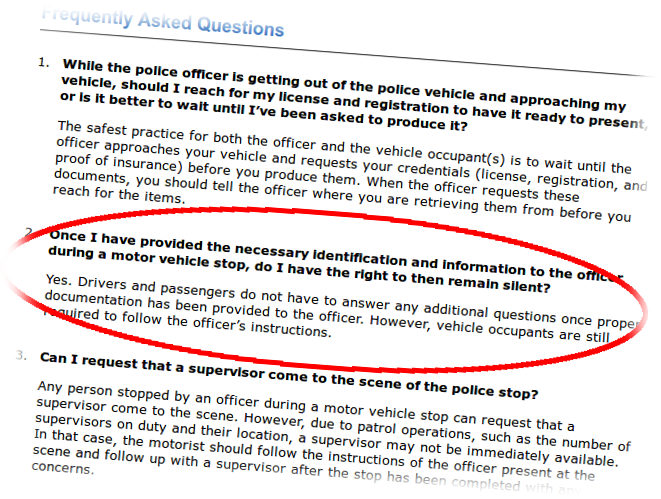 You are not required to answer police questions! Are all cops authoritarian assholes? Cop has no time for "Constitutional B.S." 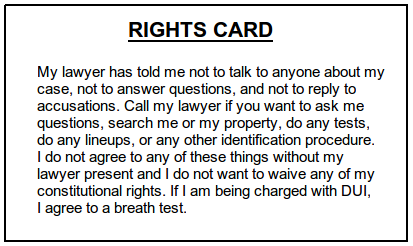 Rights Card courtesy of the late William H. Buckman, a tireless champion of justice. 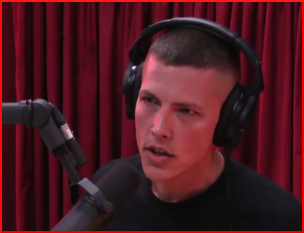 A former Baltimore cop and USMC veteran speaks out on his experiences with police corruption, brutality, and racism. Exercising rights is only radical to two kinds of people: Tyrants and Slaves. THE FINE PRINT: Nothing herein is to be construed as legal advice, which can only be given by a licensed attorney. We provide only factual observations regarding the law. Contact an attorney for specific legal advice.